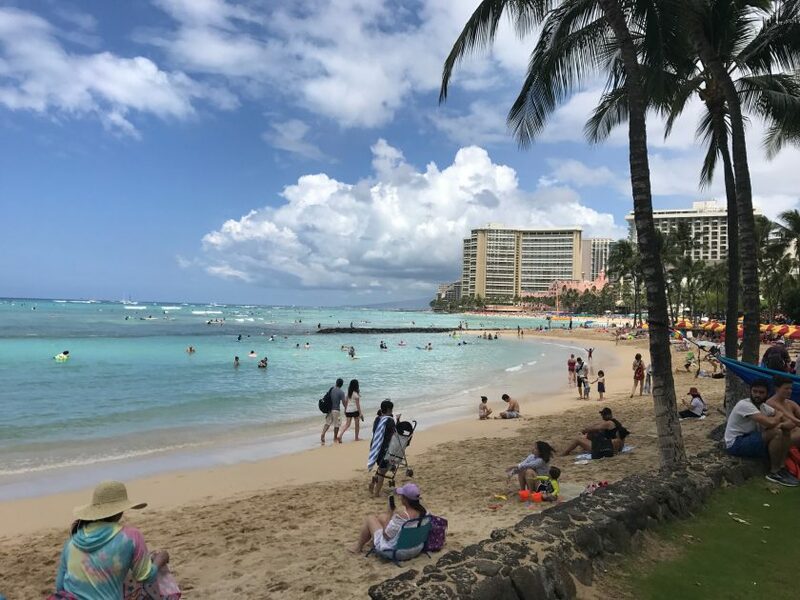 I previously wrote an article about why Hawaii is a very popular choice for both visiting and for building status with the British Airways Executive Club. In this post, I’ll talk a little bit about how you can pick the route that best suits you. As this is focused around British Airways, I’m going to stick to oneworld carriers across the Atlantic, namely British Airways, American Airlines, Iberia and Finnair. These would typically earn you 640 tier points with British Airways if you fly the entire itinerary, enough for silver status. The most comfortable of these three routings is connecting in Dallas / Fort Worth. If you connect in Los Angeles or Phoenix, American Airlines runs a narrow body A321 or B757 aircraft. These have recliner seats in domestic first, that are comfortable but are still seats. Dallas to Hawaii is operated on a wide-body B767 or B777 aircraft that have proper lie flat seats for the ten hour flight. The only other caveat with this routing is the flights leave Dallas for Hawaii in the morning, before the first trans-atlantics arrive, thus forcing an overnight in Dallas. Dallas is also a pretty cool place to go out for a few drinks – which is probably a good idea for a future article on where on the site, with a scene guide. Personal experience from a few years ago was that Round-Up was great fun! There are quite a lot of permutations on this route, however nearly all will require an overnight at some point on the way out. One important thing to note, that Phoenix to Charlotte and both Washington-area airports are under 2,000 miles. This means that these flights will only credit 40 tier points to British Airways, and not 140. Choose wisely! Phoenix also has a more limited set of flights too, with fewer departures to Honolulu, Kauai, Maui and Kona, however it often has better availability than Los Angeles. Don’t forget you can also choose a different routing for your outbound and inbound flights, which can give extra flexibility. Finally, the final permutation in routings, which allows you to add an extra 160 tier points to your total is to fly via Helsinki. This would look something like Dublin, to Helsinki, to London, to New York, to Los Angeles, to Hawaii. Not only does this add extra tier points, but it will add extra time and cost, and be tough to price online, without speaking to a dedicated travel agent. However you can get the chance to try Finnair, who are one of the more obscure oneworld carriers, but an airline that I rate. They are also flying an A350-900 between London and Helsinki, so depending on your flight, you may get the chance to try one of these fantastic aircraft. So how can I choose a valid route? How can I find out what the price of the ticket will be? How do I know where to start? When can I travel? Previous Post: Hawaii. Why go? Next Post: Washington D.C. to Brisbane with AA and Qantas in First. Part One.